White House strategic communications adviser Mercedes Schlapp was backed into an awkward corner this morning when she was asked about President Trump’s claims that the noise from windmills might cause cancer. 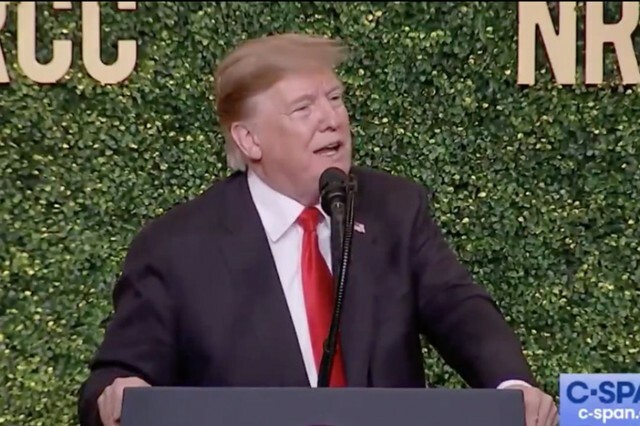 When addressing the National Republican Congressional Committee’s spring dinner Tuesday night, Trump of course brought up Hillary Clinton and her campaign promise to explore alternative energy sources to combat climate change. The idea that noise—and in this case noise specifically generated by a windmill—causes cancer is, obviously, completely absurd and wholly unsubstantiated. Such obvious lies from the president have become a familiar problem for White House staffer—in theory anyway—who have been repeatedly tasked with finding evidence to support the claims after the fact. When NBC News correspondent Peter Alexander asked Schlapp if it’s true that noise from wind turbines causes, the White House adviser appeared unprepared. “I don’t have an answer about that, but I’ll update you if I get information,” Schlapp said. As The Daily Beast pointed out, Trump’s bizarre vendetta against windmills has more to do with his 2006 feud against a renewable energy group that wanted to build a wind farm near his proposed site for a golf course in Scotland than it does with concerns for anyone’s health. Please do not disrupt the golf.